The topic of teaching courses on atheism has come up over at John Loftus' blog Debunking Christianity. My course has come up. And the question of indoctrination vs. liberal arts teaching has invoked some confusions (and ire). So here's a slightly dressed up version of some comments I've posted over there. "Talbot School of Theology is committed to biblical inerrancy. By biblical inerrancy, we mean that the Bible is without errors of any kind in its original manuscripts. Biblical inerrancy is an essential part of our ministry training and helps define our view of biblical authority." "In this course we will consider a range of important philosophical contributions on the topic of atheism. It will also consider a number of responses and criticisms from the theistic camp, and then the range of responses open to the atheist. We will consider the tension between science and religion. We will address questions such as: Does science motivate atheism? Is religious faith compatible with science? Can science give us positive evidence for the non-existence of God?" My purpose in teaching philosophy classes is the liberation of the intellect and the development of critical reasoning capacities. Their purpose is the propagation of a particular ideology, whether it is correct or not, regardless of the evidence. That distinction is vital. There's a potential misunderstanding in the way we're talking about "defending" a view here. When I teach the problem of evil, first I present a challenging statement of the problem. Then I explain and defend John Hick's soul building theodicy at great length. That produces a great deal of discussion. Then I present some powerful criticisms of that view. So in the course of an hour, I'll end up "defending" three different, contrary positions. I don't pretend to give the final answer to the issue, nor do I claim to have settled the question. The net effect of all of this back and forth is to 1) show students that the problem is not easily dealt with or dismissed, 2) educate them about various important responses that have been given, and 3) get them to develop more thoughtful and sophisticated ideas about it. In the end, I don't really care if they come out as theists or atheists. I've got enough confidence in their intellectual capacities and the power of liberal arts education ideals to let them work it out for themselves. I measure progress in terms of intellectual development, not in adherence to an ideology. The purpose of a religiously based education is to foster and entrench a particular set of conclusions or beliefs. The goal of religious education, if you can call it that, is to propagate beliefs. What sermons from the pulpit and classes in religious education seek is a world where more people believe a particular set of ideas. The methods or approaches to achieving that state are secondary, as long as the result is more of those beliefs. The proper goal of a liberal arts education, and of science education, is to develop critical methods for figuring out which conclusions are most reasonable to believe. This is the fundamental mistake that so many people make when they try to conflate science as a kind of religious faith. The essential goal of religious institutions is to subjugate minds and promote a particular set of beliefs, regardless of the facts or the contrary evidence. The essence of science is the application of a set of methods for best gathering and evaluating evidence in order to draw the most reasonable conclusions, whatever they may be. Atheists and nonbelievers are a tiny minority in an ocean of belief. I think one of the most important things that an atheist can do outside of the classroom is to be an exemplar of thoughtful, careful reasoning. We've got to patiently and repeatedly explain the various problems with God beliefs because religious thinking has such a stranglehold on the culture and people's personal lives. The vast majority of people have never even heard a thoughtful argument in favor of atheism; they don't know what it is, or what reasons might lead one to think it is true. What little information they are getting about it is distorted and maligned through religious sources and it's tainted with emotional and moral animosity. As you can see from my students' comments, many of them had no idea that there are atheists out there who are reasonable and who aren't axe-wielding, homicidal maniacs. Since there are so many of them and so few of us, and their information is so poor, we’re stuck having to explain over and over and over what the basics are. The additional challenge is that religion has often actively undermined the capacities in them that would allow them to think critically and objectively about religion. What some atheists need to be doing is comparable to what many gays have done--educating, living by example, and presenting themselves and their ideas out of the closet as a viable alternative. But I do think there is room and need for more militant voices too. The civil rights movement needed both Martin Luther King and Malcolm X. We need both Daniel Dennett and Christopher Hitchens. Here's a big question: which should be more important to us fundamentally: A) believing that there is no God and promoting that viewpoint, or B) believing those conclusions that appear to be supported by our best efforts at broad, balanced evidence gathering and objective critical analysis? The latter project might well lead a reasonable person to conclude that God exists, but I submit that it's still more important to pursue B) than A). And THAT'S the difference between what I'm doing when I'm teaching atheism and what they are doing in seminaries, bible colleges, and other religion factories. I approve of your thoughtful and thought provoking post. The links to your student's posts lead to a sign that you need to be approved by the moderator to view these posts, as you have set up your classroom forums to be member only. I support you fully! But then I may be biased. I figure, anything that can be done to dispel myths about atheists, as well as shock a few people into asking some questions is a good thing. Keep up the good work. Thank you for this glimpse into your atheism course. It's sad that courses like this are so rare. The importance of atheism does not, of course, lie in "believing that there is no God and promoting that viewpoint." If atheists are to lead by example, we should exemplify, not belief but a coherent epistemology—as you put it: "our best efforts at broad, balanced evidence gathering and objective critical analysis." Religious propositions are not the only kind that ought not to be taken on faith. Healthy skepticism is always a good idea. "You cannot view the group's content or participate in the group because you are not currently a member. Members must be approved before joining. You must be a member of this group to read its archive." Ok, I opened the discussion threads. Professor, I don't think your class is one of the few on atheism. My intro to Philosophy class, REQUIRED, was basically a course on atheism and the professor made no pretense of being objective about the other side. In fact, toward the end, his contempt was barely concealed. And the outspoken Christian was definitely held to a higher standard. I know, I know, you won't believe that but I know what happened. That's too bad Morrison. No one is convinced by those heavy handed tactics. And being reasonable isn't served when people in a position of authority don't fulfill their obligations. I certainly agee with that Professor, but that is beside the point, since I see so much of it. I hope you are not claiming this is an isolated instance. I realized that when Kenneth Miller, a Brown University Professor who wrote "Finding Dawwins God" came to speak on campus. 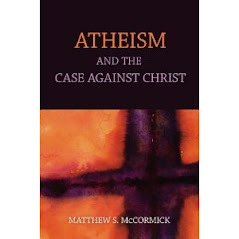 He drove home the point, which he mentions on page 19 of his book, that he is amazed that "The presumption of Atheism is endemic in academic life". His words...the PRSUMPTION of atheism, and it is consistent with my experience. On our own main state campus, the most vocal atheist used to be the head of the religion department, although he has now rotated out. It's no accident that the vast majority of scientists, philosophers, and other academics are non-believers. And it's no accident that education is negatively correlated with religiousness. (As a person's education increases the likelihood that they are religious goes down.) Morrison seems to be suggesting that there is an unreasonable or unfair presumption of atheism among academics. I don't know how to assess that. One comment: it's not the responsibility of faculty to take every viewpoint, no matter how far fetched, seriously, or to presume nothing in their discussions. The discussion of alternatives to the evolution of life on Earth, for instance, just don't deserve serious discussion any more. Likewise for the evil demon theory of disease.